[New for 2014, discontinued] Well, we listed it on the 2014 product guide and now here it is in my house, a limited batch freshly plucked from a Walmart freezer shelf. Ok, I really don't know what to make of this flavor. The worlds of cherry garcia and greek froyo have come crashing together in to some mystical form that I keep scooping in an attempt to quantify. Sorry, too many words. Let's go step by step. 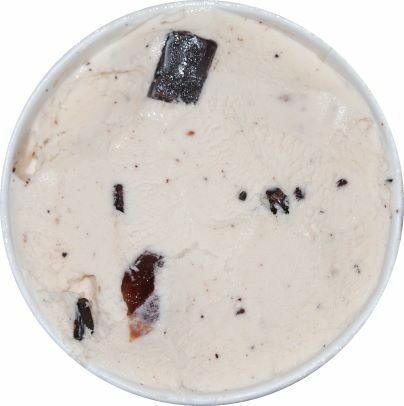 The "fudge flakes" are smaller than the traditional huge cherry garcia chunks, plus they are often broken up so you get whole pieces, half pieces, quarter pieces, etc. If you get a big one, you can try to let it melt on your taste buds. It doesn't so much melt, but you definitely get the distinct flavor of cocoa. The bite of the cherry base and the tart of Greek yogurt seem to have done a decent job of nullifying each other, saving me from the tart factor that bothered me in their other greek froyo flavors. Even the cherries themselves don't have any crazy bite to them. There's still that "thickness" to the flavor and texture, but overall this is a much more acceptable way to get me to eat greek froyo. 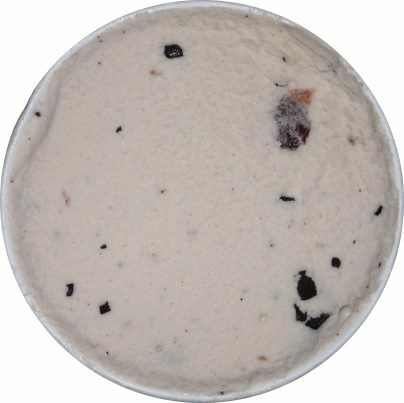 I don't adore this flavor, but I ate 35-40% of the pint this morning and I don't regret any of it. My only minor sticking point is that I wish there had been a bit more chocolate on my first scooping. I don't need a ton of it, but my scoops were building up a nice mild chocolate vibe underneath the main flavor and I would love to see that be a bit stronger. Final Thought: This finally feels like a Ben & Jerry's flavor... so why is it a limited batch? I've been looking for this, but haven't seen it yet. Thanks for the review and comparison to the regular Cherry Garcia. 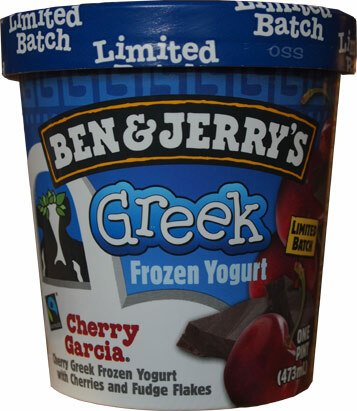 However, I was wondering how you would compare it to the regular froyo version of Cherry Garcia. flavor wise, this is more balanced as the flavors have cancelled each other out a bit, so no real tart or tang here. texture wise, this is more frozen greek yogurt then it is frozen milk (like the regular froyo). 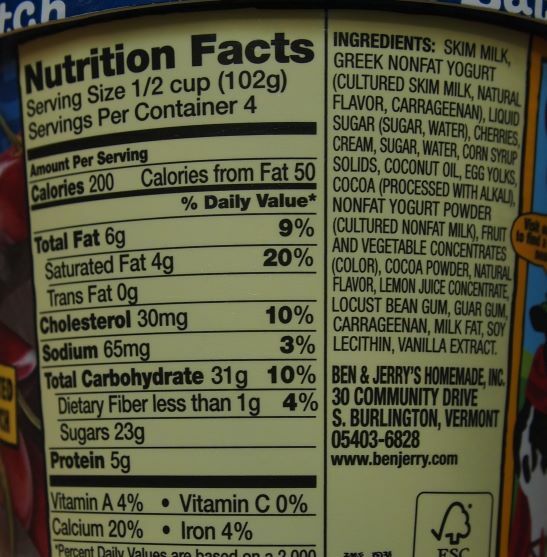 Keep in mind it has an extra 3.5g of fat to help it seem more... robust. I also think the texture is very gritty. I originally thought it was a bad pint until I tried a second one. It has good flavor, but I can't get past the almost powdery mouth feel. I haven't tried the greek version yet, but will look for it. Cherry Garcia is the only ice cream i will eat. And it never gives me an upset tummy. But bout it yesterday and it'all wrong. Watery tasting, cherries no longer taste fresh, chocolate had same taste, but felt it had been halved in amount. The watery taste was the send off for me. Bye bye we will not meet again. Once again my Cherry Garcia was gritty, fuzzy feeling. What the heck is that? Not going to waste anymore money on them.